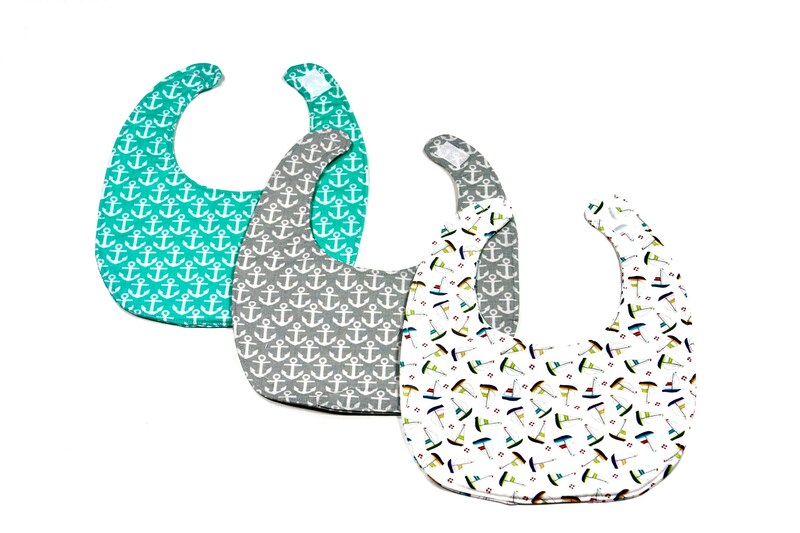 This handmade gift pack includes three baby bibs with a nautical theme. The velcro closure is quick and easy. The three bibs are made from 100% cotton fabrics and threads. Keep clean with just machine washing. All of my products are made in a smoke free and pet free environment. This gift pack makes a great holiday gift.